We are fairly limited on the foods Bubs can have, so following a traditional recipe is difficult for us. I see all sorts of savory recipes online and on other people's blogs, but we just can do eggs, flax, garlic, etc. We cook pretty basic around here. 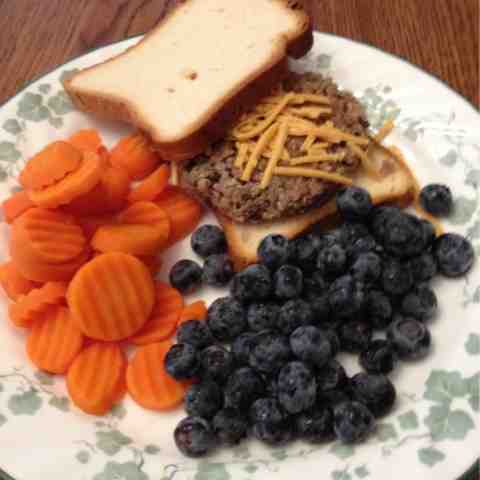 So tonight we are trying simple quinoa burgers. 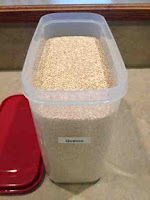 Begin by rinsing 1 cup uncooked quinoa. Add 2 cups of water, cover, and bring to a boil. Reduce heat to low and simmer for about 10 minutes. Remove from heat and steam for another 10 minutes (just leave the cover on your pot but remove from burner). 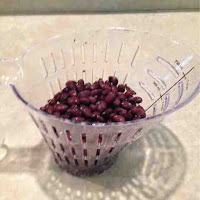 While the quinoa is cooking, prepare black beans. I got home late tonight so I just mashed the black beans with a fork. 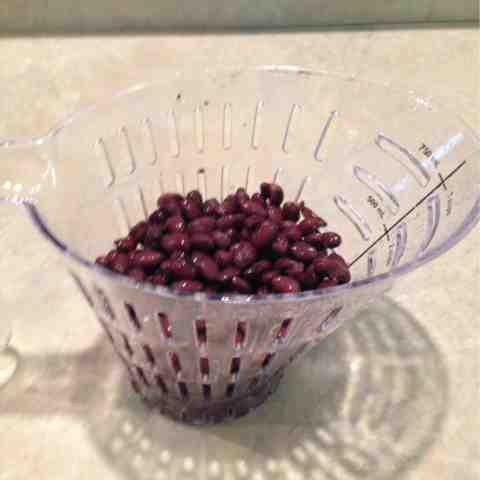 I would recommend pureeing them in a food processor for a smoother consistency. When the quinoa is ready, mix in black bean puree, a few dashes of Italian Seasoning, and a little Canola oil (as you can tell, I'm not good at measuring when I cook), enough to allow you to form patties. Now you are ready to grill! 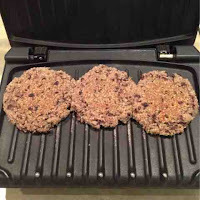 We used our George Foreman for quick indoor grilling.